Drilling fluid management is inarguably one of the biggest issues facing the horizontal directional drilling industry today. With the extensive regulations and costs associated with drilling fluid, some would claim it is the biggest issue. As a result, we’re seeing more reclaimers on jobsites — and it’s changing the HDD industry. No one would know that better than Frank Canon. He spent 40 years with Baroid Industrial Drilling Products and is widely recognized as a leading expert in drilling fluid (or mud, as it is often called). The growing use of reclaimers is a trend Canon has seen across the HDD industry. “The difference in cost between disposing of solids that came off a reclaimer versus disposing of whole fluid can be tremendous,” Canon said. How big of a cost? Here’s a real-life example from Texas-based Dakota Utility Contractors Inc., a Vermeer customer. On a pipeline installation in Arkansas, the company was required to haul all drilling fluid to a class I landfill accepting hazardous waste. The nearest facility was a two-hour drive one way from the jobsite. That’s four hours roundtrip in labor costs for the drivers and transportation costs, plus there was a disposal fee of up to $1,000 per load. You can see how rapidly these expenses add up. Jim Watland, the operations manager for Dakota Utility Contractors, says that determining drilling fluid needs and disposal is a major part of his job — and four managers who work under him also spend time on this. We have heard of contractors who have left jobs because the disposal process became too burdensome. The issue has grown to the extent that it should be a central consideration when bidding on a job. Increasingly, part of the decision-making process is determining whether a reclaimer makes sense for the job. 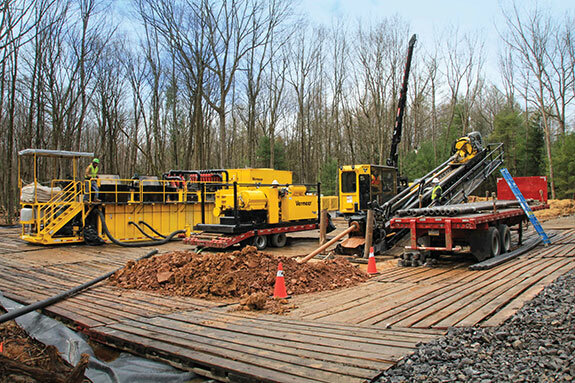 The machines, which recycle drilling fluid, traditionally have been used with larger rigs on pipeline jobs. But with the number of disposal sites decreasing and regulations and costs increasing, we’re seeing more HDD contractors turning to reclaimers on jobs of all sizes. 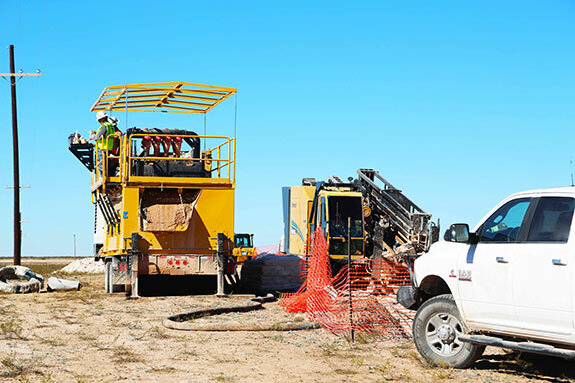 Watland, for example, recently began using reclaimers with his smaller directional drilling rigs in certain conditions to help reduce disposal costs. "I’ve also seen contractors use multiple reclaimers on a single job, most often positioning one by the drill and the other at the exit pit. This is most common on larger-diameter and lengthy bores when it’s difficult to get from one side of the project to the other, or when the dumpsite is far away." When to use a reclaimer is usually determined on a project-by-project basis. Contractors should consider the estimated cost of fluid disposal, hole diameter, bore length, ground conditions and water source. Generally, a project that requires 7,500 gallons (28,390.6 L) or more of fluid per day is one where a reclaimer should be considered. Determine where the crew will get water, which typically accounts for 96 percent or more of drilling fluid’s makeup. Estimate the amount of drilling fluid needed to complete the project. You can rely on industry experience or use calculators the industry has developed. Know how drilling mud must be disposed (both project owner and government requirements) and the location of the nearest dumpsite. Drilling fluid disposal — its cost and the location of dumpsites — is a growing headache for HDD contractors. Recycling that fluid with the use of a reclaimer has the potential to offer relief. Watland remembers the days when mud could be spread on a right-of-way or otherwise disposed of in more convenient ways. Now that’s almost unheard of. And project owners and the government require manifests, receipts and other documentation to prove drilling fluid was discarded as required. Contact Vermeer to find out how reclaimers can help better manage drilling fluid costs or learn more by visiting Vermeer.com.